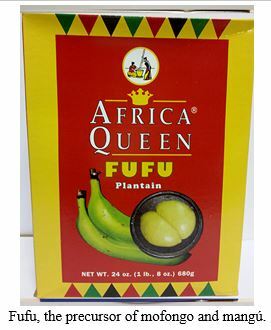 Afro-descendant women have been key in the keeping and sustaining of food traditions in societies with a history of colonialism and slavery. 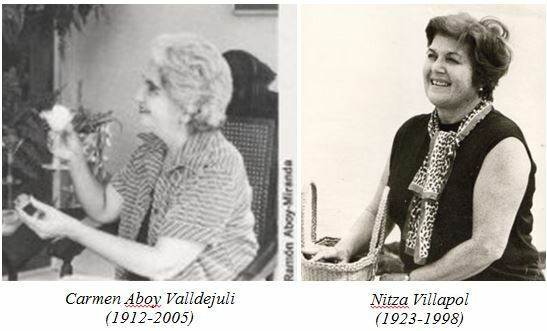 Examples I have encountered in my work are Francisca Falú, the woman who taught iconic Puerto Rican cookbook, Carmen Aboy Valldejuli, how to cook, and Margot Bacallao, the assistant to Nitza Villapol, the Cuban cuisine icon. The role continues in the Diaspora, as the story of Adela Fargas in New York City. I started thinking about these women upon reading a beautiful piece by Illyanna Maisonet in the San Francisco Chronicle earlier this month, titled, A pilgrimage to the keeper of Puerto Rico’s past, before she disappears. The article recounts Maysonet’s journey to the island in search for her culinary roots. She focuses on her visit (or “pilgrimage”) to El Burén de Lula, in Loiza, a beach-side town in the eastern coast of Puerto Rico, known as a bastion of African traditions in the island. El Burén is an appropriate place for a culinary pilgrimage. Lula, the owner, is one of the remaining gatekeepers of Loiza’s Afro-Puerto Rican culinary traditions. Such risk of loss inspired the gastronomic nostalgia that permeates Maisonet’s article. If Lula is the last connection to our pre-contact gastronomic world, should we be content with photos for the inevitable future “anthropologist” who wants to teach a class on long-disappeared cooking techniques? While the younger generation loses the desire to create the food of our grandmothers — favoring the addictive spell of American fast-food chains or the Eurocentric lullaby of soigne plating techniques — perhaps it’s the task of the Disasporican to preserve the traditions of our ancestors. This excerpt caught my attention. Lula’s cuisine is not truly “pre-contact”. It is built on African and slave plantation culinary traditions, with some Taino elements. While many offerings in El Buren de Lula have their roots in indigenous Taino culinary traditions and ingredients, key components, such as the plantain leaf and the use of achiote oil, are examples of the important African influence. Maysonet is certainly not alone in her desire to save these “pre-contact” traditions. Many in the Diapora (the “Diasporicans”) hold a nostalgic view of Puerto Rican cuisine, seeking to preserve and hold on to simpler times. But, is it truly the “task of the Diasporican to preserve the traditions of our ancestors”? In 2011, María Dolores de Jesús (aka Lula) published the beautiful cookbook, El Burén de Lula: Cocina artesanal, as a vehicle to divulge her secrets from the burén, in an effort to document and preserve her culinary expertise for future generations. As detailed in the book, Lula is the third generation in her family who has worked the burén cuisine. She learned the craft from her mother, Doña Marcia de Jesús Carrasquillo, who was a food entrepreneur, selling food from her home kitchen and later opening a kiosko in Loiza. El Burén de Lula was the result of this transmission of know-how for decades now, being featured in the media, including a Bacardi commercial back in 1978 (as recounted in the book). 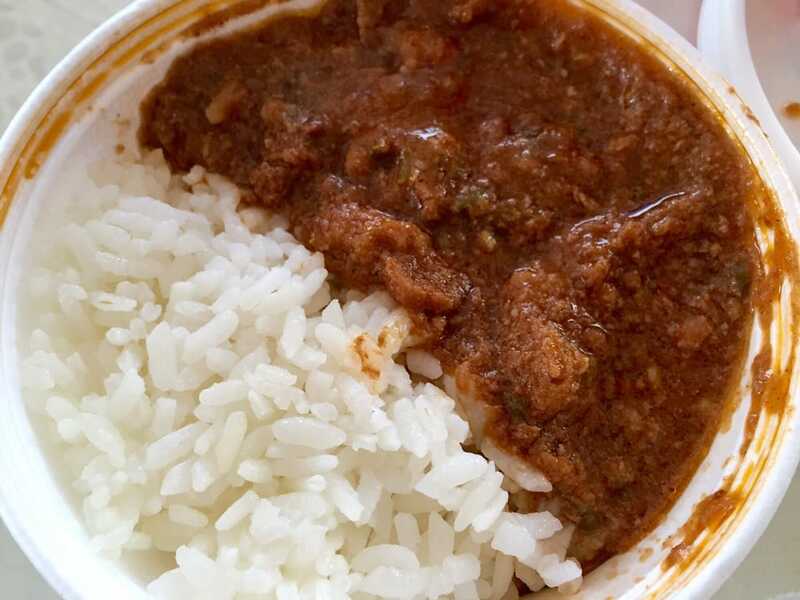 Thankfully, Lula is not the last remaining bastion of African culinary traditions in Loiza. Like her, there are other Afro-descendant, entrepreneurial women continuing these traditions, while seeking to make a living for their families. 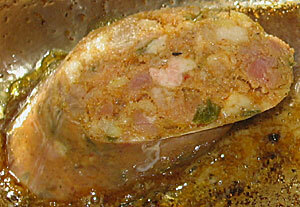 One example is La Comay, from Kiosko La Comay. I met her briefly during my study abroad course in Puerto Rico back in 2015. We visited her kiosko accompanied by my good friend and colleague, historian Cruz Miguel Ortiz Cuadra (as recounted in a student-authored blog post). The movement of across the globe has accelerated since the meeting of the old and new worlds in 1492. The cuisine many, like Maysonet, seek to preserve was the result of that movement and change. And it inevitably continues to change. The questions remain: What to preserve? How to preserve it? And, who gets to preserve it? As I write this, I stand right by the kitchen. I am waiting for lunch to be cooked. Today I prepared what I decided to call el arroz del resuelve – a hastily put together version of my nostalgic arroz con salchichas. I had the Vienna sausages in the pantry for some weeks now (maybe a few months?). I bought them on my last visit to East Harlem (El Barrio). Whenever I am in the area, I try to stop at one of the local supermarkets to stock on Puerto Rican favorites not easily found in my neighborhood. The salchichas, much like the corned beef I also bought in that last trip, have been in my pantry waiting for a moment like today. 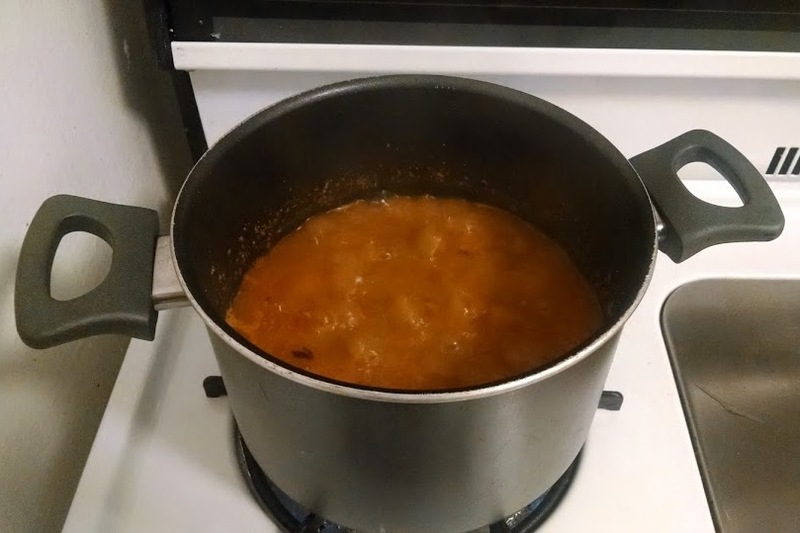 I added a sparkle of color with green peas as a finishing touch, along with a hint of pique de acerola – a hot sauce made from West Indian cherry, another of my nostalgic foods. 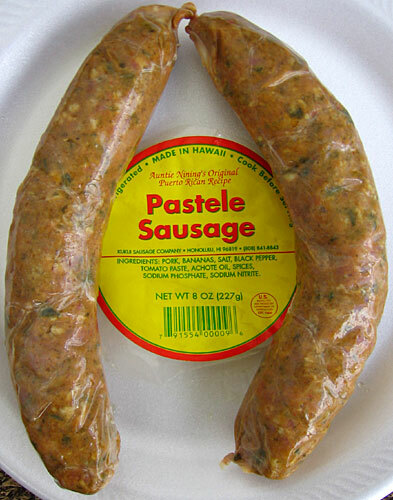 Despite the changes in flavor from the brown rice and the green peas, the salchichas still provided a bite from the Caribbean home I am able to enjoy miles up north. * Viladrich, A. and B. Tagliaferro (2016). “Picking fruit from our backyard’s trees: The meaning of nostalgia in shaping Latinas’ eating practices in the United States.” Appetite 97: 101-110. It’s Christmas time, 115 years ago, in 1900. Close to sixty Puerto Ricans arrived to the shores of Honolulu, Hawai’i. The journey lasted for a month, originally consisting of about 100 travelers. The numbers dwindled as many abandoned ship, faced with food and water shortages . After the US occupation of Puerto Rico in 1898, the sugar industry was on the decline, leaving many unemployed. Puerto Rican agrarian labor was being recruited around the world, including sugar plantations on the other side of the globe, in Hawai’i. 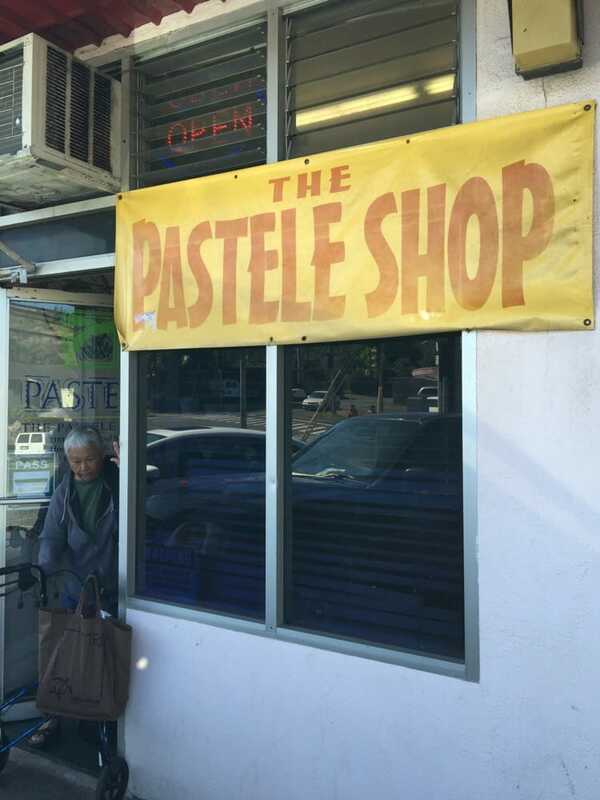 These shops denote the shift in the traditional significance of pasteles. In Puerto Rico, more than an everyday food, pasteles, along with its inseparable accompaniment, the arroz con gandules, is typically eaten in Christmas. Granted, we do save pasteles in the freezer, spreading them out on ocassion throughout the year. Yet, it is still strongly associated with the Navidades. Furthermore, the Borinkis have reinvented the pastel into new interesting dishes. And if you have tried the pastele sausage or stew, please share your stories with us! Buen Provecho and Feliz Navidad! Mofongo and mangú – can this duo of mashed plantain dishes in the Spanish-speaking Caribbean tell us something about national cuisines in this regional context? In my ongoing fieldwork, these two dishes have continually been used to distinguish Puerto Rican from Dominican cuisine. However, recent interviews with Dominican informants have revealed that they, too, claim mofongo as a national dish. Personally, I have to admit that these moments have created some conflict between my role as researcher and my national identity, as Puerto Rican. The first urges me to stay calm and continue listening, while, at the same time, my Puerto Rican self wants to argue against the assertion, and reclaim mofongo as uniquely Puerto Rican. Fortunately, the researcher in me wins these battles, while also prompting me to look further into this claim. “I have been here [NYC] for a long, long time, and I never had it when I lived in DR, in Dominican Republic – I had mofongo here”. Such response echoes those I have received from other Dominicans I have spoken with, the older generations in New York City and Puerto Rico. Interestingly, the claim for the “Dominican mofongo” has been from younger Dominicans, perhaps signaling the relatively recent introduction (and incorporation) of the dish to Dominican cuisine. In the end, the Dominican claim on mofongo reflects the inevitable mixing of food cultures in a city like New York, where small, but perceived important distinctions between groups start to blur, melting identities (and food) as “Latino”, “Hispanic”, or (my least favorite) “Spanish”. Arroz con gandules, pernil, pasteles, cuchifritos… These foods come to mind when describing Puerto Rican cuisine. Home cooked, simple dishes. Nothing fancy. These are foods that fill our stomachs and our souls. For many Puerto Ricans, these are to be eaten at home, lovingly made and served by mami or, even better, abuela. 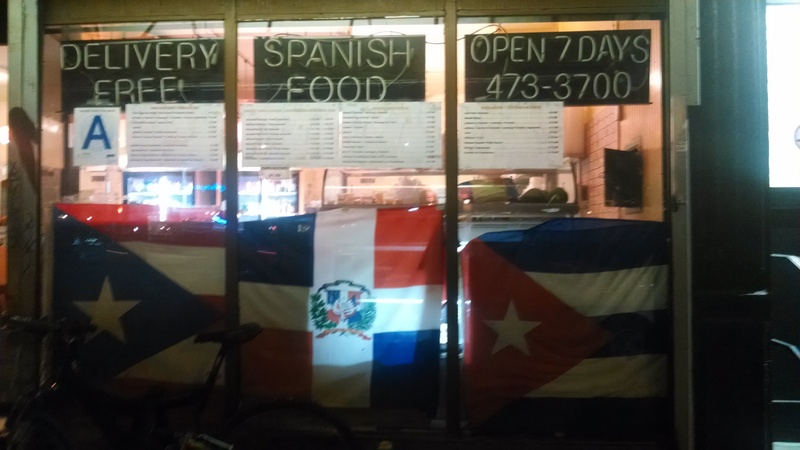 Therefore, Puerto Rican food is not to enjoy at a restaurant, and even less pay too much money for it– or is it? Take for example these dishes from La Jaquita Baya (Miramar, PR). 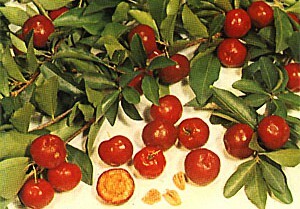 The traditional gandules and habichuelas colora’s are served alongside bite-size arepas. And the pastel? A smaller version, topped with salmorejo de jueyes and fresh greens. 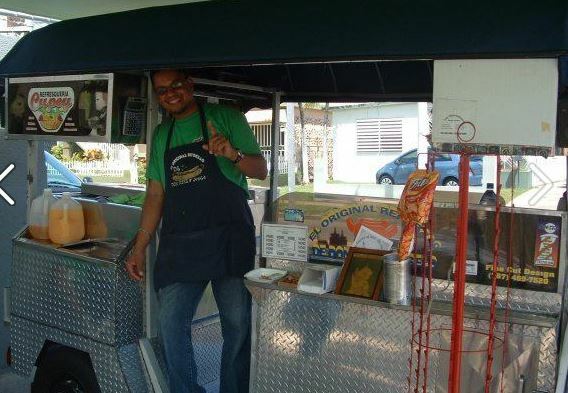 Go south, to the center of the island, and you find Orujo Taller de Gastronomia in Caguas, PR. With this meal, my first time eating cuajitos, where the fattiness of the fried pig ears was balanced by pickled, fresh vegetables. Also on the menu, slow, smoked pernil on top of the traditional fufu (mashed, sweet plantains). These meals are just a sample of the new, emerging restaurants in Puerto Rico. 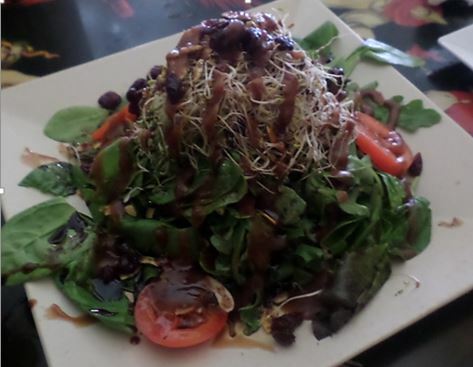 The “heavy” elements of our cuisine (root crops, fried foods, pork) become “light(er)”, by being served in smaller, more flavorful portions. There are also greens, beyond the usual iceberg lettuce and pale tomatoes. These meals value quality over quantity. The chefs behind these dishes are driven by a desire to elevate our cuisine. With these, they also demonstrate the many possibilities of traditional ingredients, while also seeking to revive almost forgotten ones from a not so distant past. Yet, these new restaurants challenge the ever expanding and conveniently located franchises, offering homogeneous, pre-packaged flavor, for a perceived (but not always) lower price. This role is key in the case of Puerto Rico, where palates are increasingly accustomed to artificial flavors and economic woes are part of everyday conversations. These new restaurants represent the growing entrepreneurship spirit on the island, inspired by a love of food, culture and el buen comer. Buen provecho and support your local chef! Clearly, these hot dogs were more than a processed sausage inside a bun. They were an experience, one that he remembers to this day and lights up talking about. “I always had these with cold lemonade” – He adds. 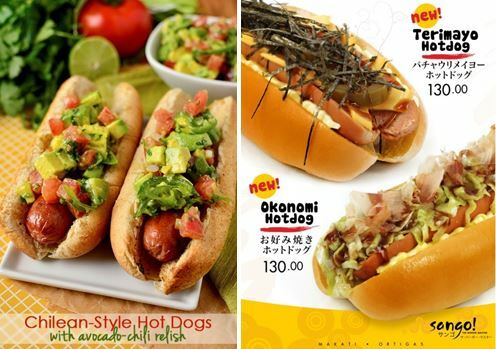 Hot dogs were first invented in Germany back in the late 1600s, and brought to the US, as many other iconic “American” foods, by immigrants selling food in street pushcarts (Read more here). 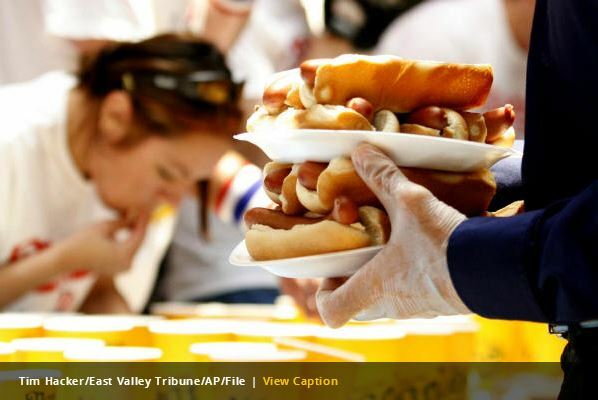 Today, hot dogs are part of the street-foodscape, becoming an important part of “American cuisine”, eaten as part of US Independence Day celebrations, including the traditional hot dog eating contest. Have YOU experienced el reforza’o? 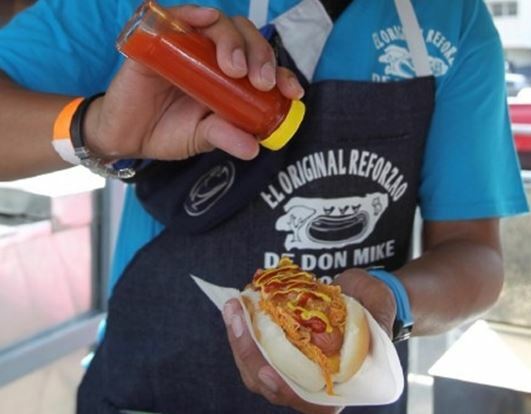 Thanks to my partner, Omar A. Dauhajre, for sharing his delicious memories of hot dogs from El Original Reforza’o de Don Mike in Caguas.